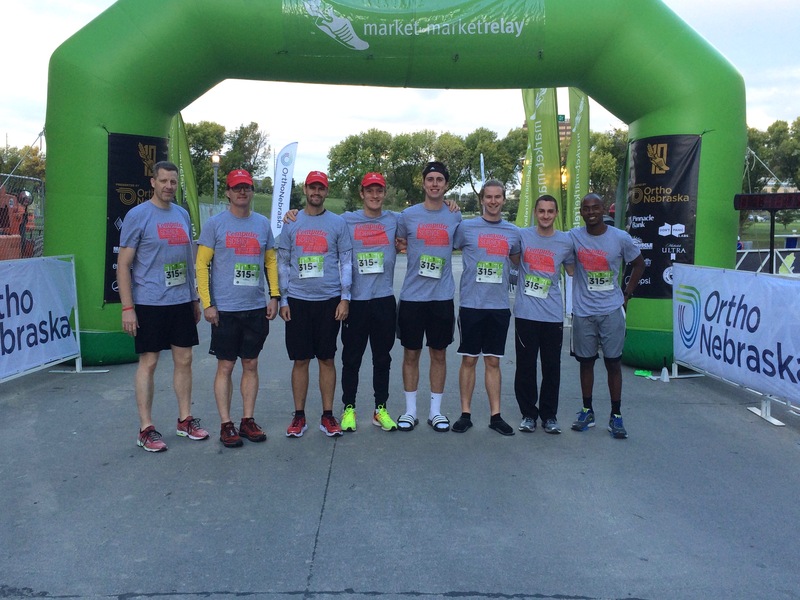 The CSE Market to Market Relay team. Computer Science and Engineering department chair Matthew Dwyer runs about 30 miles every week—even in cold weather. After sharing this fact with a CSCE 10 section last fall, sophomore Alec Schneider decided to stay back after class. “Running with the Chair” is a 6-mile run around campus students are invited to join Dwyer for once a month during the school year. A few student runners who join Dwyer regularly suggested they form a team to participate in this year’s Market to Market Relay. 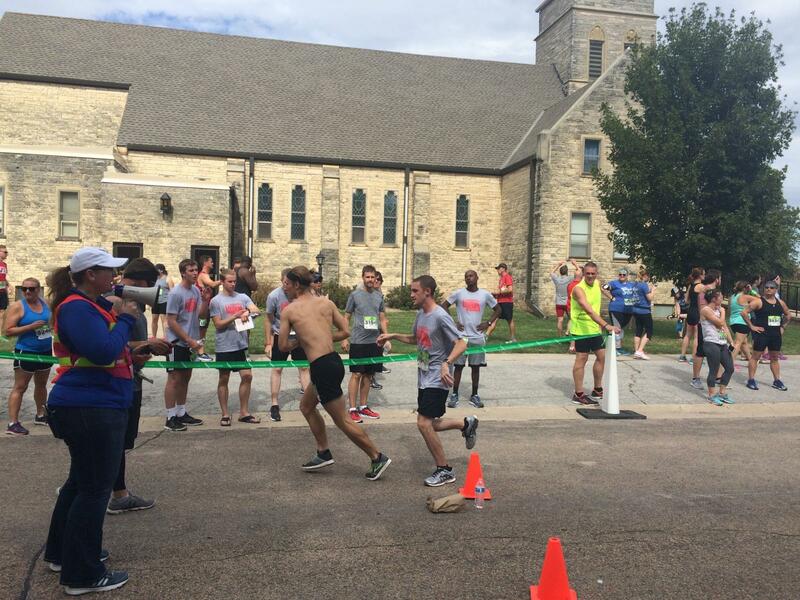 Last weekend, eight Computer Science and Engineering students and faculty members did run in the Nebraska Market to Market Relay. Out of 584 racing teams, the CSE team placed in 32nd overall, and first out of the teams associated with an academic institution. 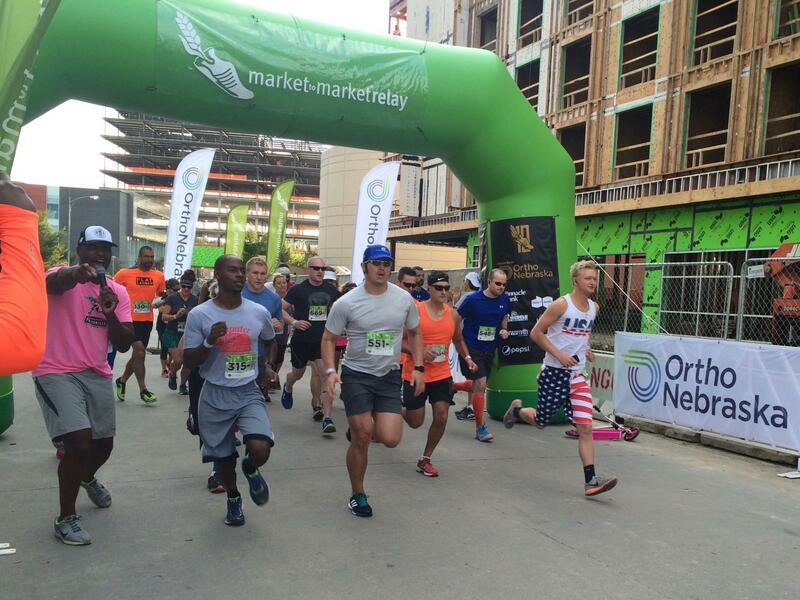 The annual race is the largest day-long run in the nation, and the Nebraska race takes teams from the Omaha Old Market to the Lincoln Haymarket. The course stretches over 76 miles and is divided into 19 stages, each stage covering three to five miles. Teams are made up of six to eight runners who each run two to four stages of the race, while others travel between exchange points in a van. The CSE team members included department chair Matthew Dwyer, assistant professor Justin Bradley, lecturer Jeremy Suing, and students Alec Schneider, Christian Young, Jared Yost, Brennan Roberson, and Grant Harrison. Computer science students Alec Schneider and Jared Yost run past the other members of the CSE team. Schneider and Young were regular "Running with the Chair" participants who suggested forming a Market to Market relay team, and recruited a few more friends and fellow students to join. The runners all agree the race was tough, but as fun as it was challenging, and a great bonding experience. “Whenever I see students from other computer science classes, all we talk about is computer science, so it’s nice to have something else that we all share a passion for and something else we can talk about,” Young said. The event not only helped the students build better relationships with fellow students, but also faculty members they didn’t know well before. The team members hope to run in the Market to Market Relay again next year, but also to potentially run in a few other races and marathons together before then.